Lazy Seamstress: A trip back to my college days. A trip back to my college days. I started Art College back in 1989, and the general uniform for surface pattern design students at that time seemed to be flippy floaty skirts or culottes teamed with dms, oversized t shirts (layered.) 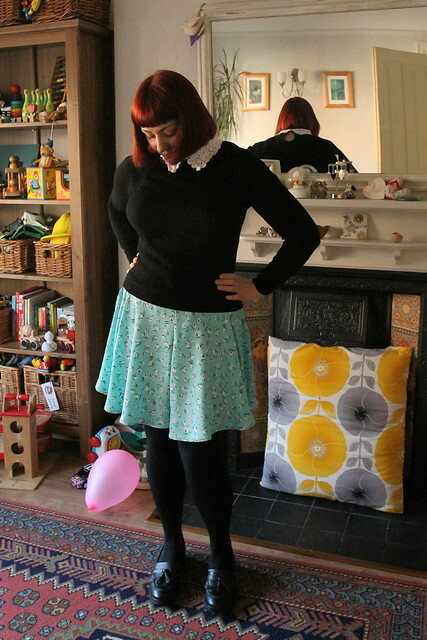 and granny knitted cardigans, bum bags were optional! I even wore a pair of oriental print culottes to my friends wedding, with the obligatory dm's a crocheted top and a large straw hat. Thankfully I don't have photos! The Tania Culottes kept popping up in conversation with fellow sewers, and then on Pinterest, and I was intrigued. I liked the idea of a culotte that most definately didn't look like a culotte. I had, when India was a baby experimented with the skort, and shudder I definately didn't want to go back there again! Reassured that the Tania Culotte looked like a circle skirt when worn, but offered the reassurance and practicality of a short trouser, I thought I'd give them a go. I took advantage of the 20% discount on all PDF patterns over at Megan Nielson, and ordered a copy on Friday evening. Saturday morning I began taping all the pieces together with parcel tape; seems a certain toddler had used up all our sellotape making presents for Larry and Leo, his imaginary friends. 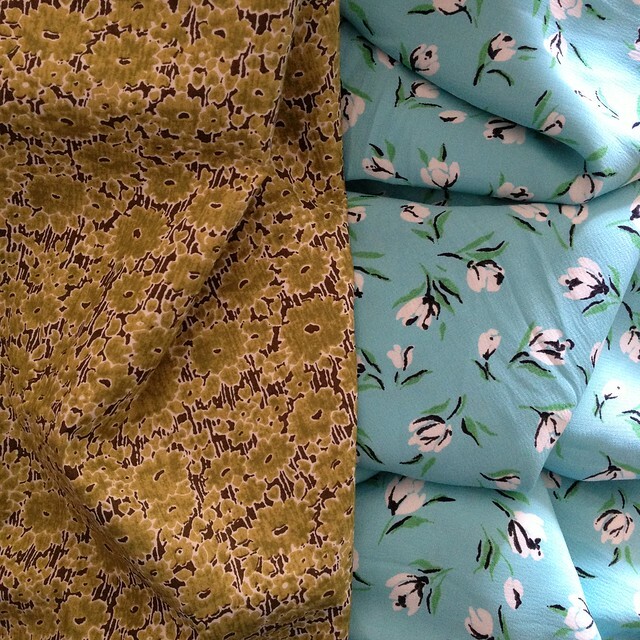 I had a rummage through my fabrics and couldn't decide between these two. The olive and brown cotton lawn is definately more within my comfort zone with the colours, but afraid it wouldn't drape enough I decided (with help from Facebook and Instagram) to use the blue fabric, which is a very drapey lightweight synthetic that I'd picked up at The Vintage Village some time ago. 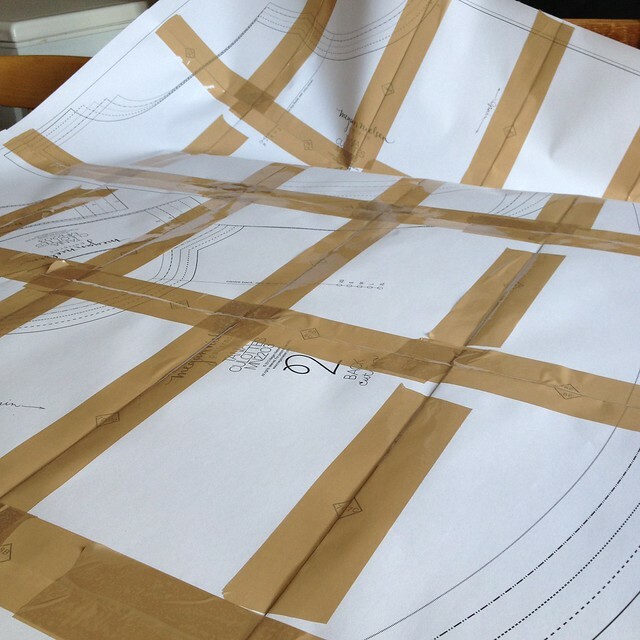 The culottes stitched together nicely, it's a very straight forward pattern, with good clear instructions. I was a little slapdash lengthening the culottes, which meant I gave myself an absolute nightmare hemming them, and had to unpick my first hem. Honestly the final hem isn't great, but I figure it'll do, still better than anything I might buy from a high street store. 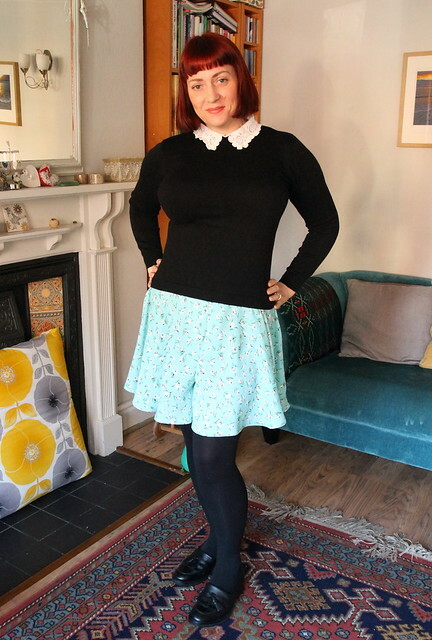 I thought I might get away with this fabric by picking out the black in the design and wearing with tights and a sweater, but it doesn't really work. I think they will look better in Summer with bare legs, ballet pumps and a green t shirt. Of course the ultimate accessory would be a gorgeous ladies Pashley bicycle with basket. I did discover today that culottes are not public loo friendly, but maybe that's too much information. Also, worn over tights they bunch up, which is not an attractive look in the crotch area. Despite that though, I am going to make another pair, just so I can prove to myself that I can get an even hem on them! Ernest says they are beautiful, and seemed very excited when I was trying to get photos. OK Seafood culottes sound rather amazing and rather scary! Ernest, you ham. So wonderful to see him so grown up. They are still babies of course, he and Vivien, but I love to see him grow. Emery Dress, Why has it taken me so long? Box pleats and pattern matching.